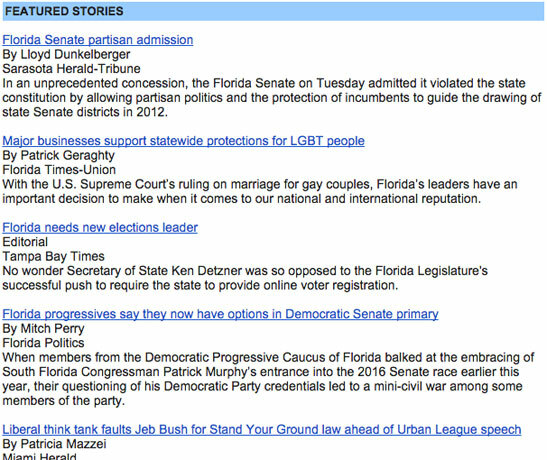 "I begin my day with Progress Florida’s Daily Clips. It’s a great source for news on a wide range of issues. It should be a 'must read' for everyone." Let Progress Florida brew up your morning cup of knowledge with Daily Clips! By signing up, you agree to receive Daily Clips and action alerts from Progress Florida. You can unsubscribe from either list at any time.